Operating under the blue cruise enthusiasts is primarily intended to direct their own boats to offer the most favorable terms and the center of Fethiye, which is also Fethiye, Gocek, Marmaris and Bodrum. Our company registration number 4492 Fethiye Chamber of Commerce members and 4492/187 record number. Fethiye is a member of maritime commerce since 2002 in various fields including tourism activities is its primarily services. Working, twelve months of the year our office is always open for inquires on boat rentals. Situated in the center of Fethiye, offering you are very best quality of service . From day 1, with your first inquiry, we can give you all the information you need with expert advice and be with you every step of the way. Again, our company will negotiated and send you all information of our different types and sizes of gulet, yacht charters and bare boats. Programs and routes, to suit everyone. 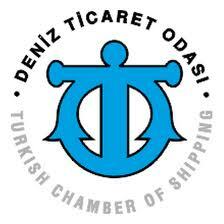 ECE Yachting is a member of the Chamber of Shipping .